. Pally Palette: Hoot! Wise words. 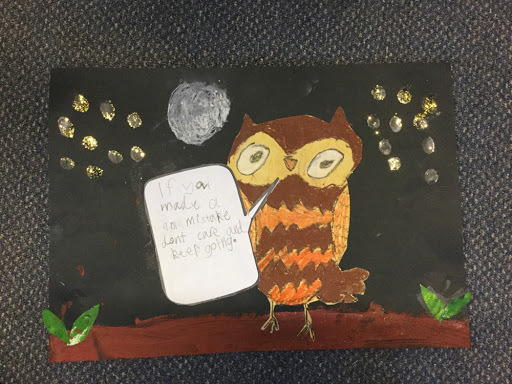 Some of the junior classes have made mixed media art works inspired by the owls that were at a recent Harry Potter fundraising event. We've been looking at how basic shapes can be used in drawing this term. 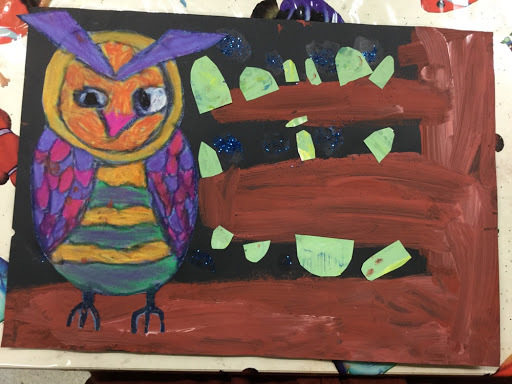 The children looked at many different styles of owl drawings and observed the basic shapes they used. 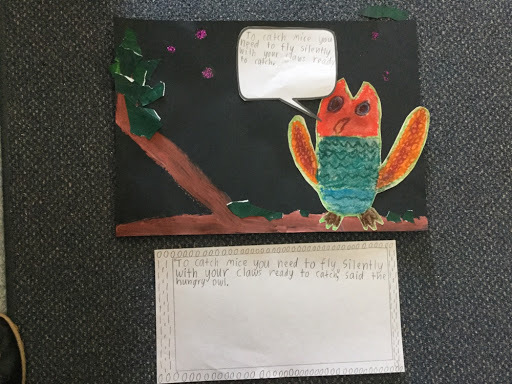 From these observations we made a 'recipe' for drawing an owl. Eyes, head, body wings beak etc and the types of shapes we could use for each part. 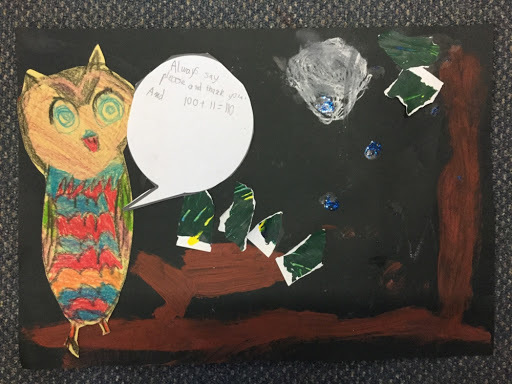 The children then drew their owl - in their own style! 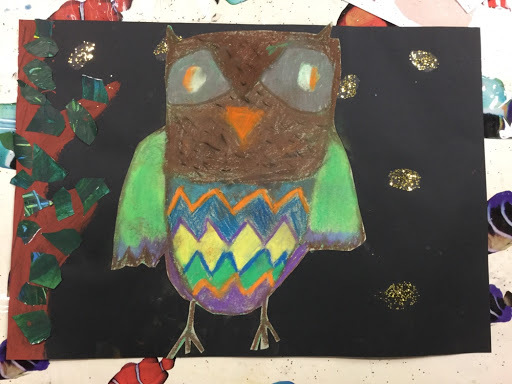 They explored chalky pastels to add colour and patterns to their owl. 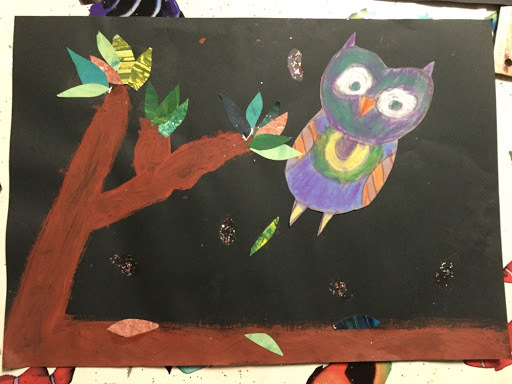 Next they painted branches using thick paint and created leaves using collage paper, cutting or tearing their leave as desired. 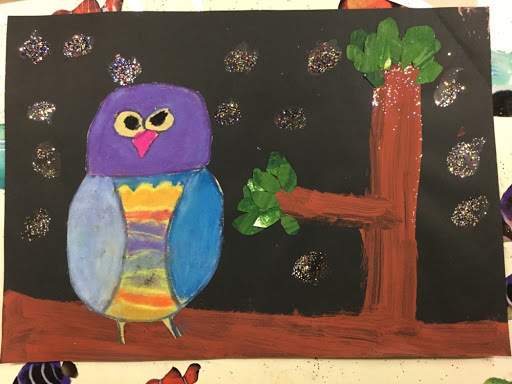 For this project I broke out the glitter to add stars to the background of their work. Last of all they glued it all together. Some classes had time to add a written component. 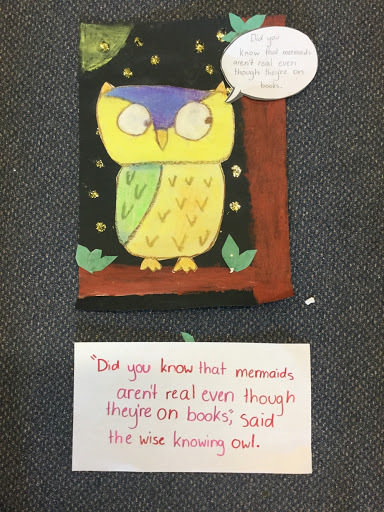 We thought about the saying "wise old owl" and used speech bubbles to add a wize or clever fact. 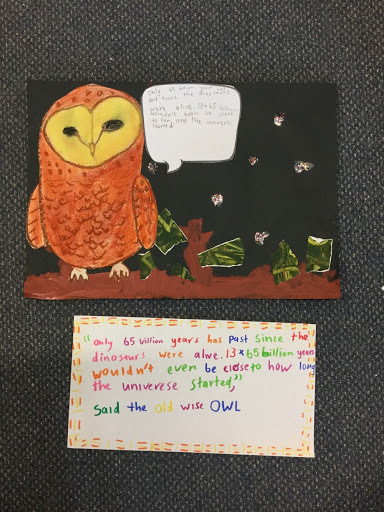 The year 2/3 and yr 3 classes transposed this to text using quotation marks and proper punctuation.